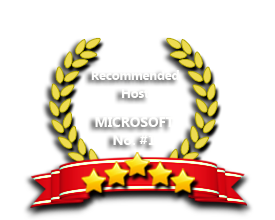 ASPHostPortal windows hosting is compatible with the Crystal Report 2010. We offer Crystal Report 2010 based hosting plan from just $5/month (see our Windows Shared Hosting Plan). Crystal Reports 2010 Hosting is a powerful, dynamic, actionable reporting solution that helps you design, explore, visualize, and deliver reports via the web or embedded in enterprise applications. With Crystal Reports Application, it enables end users to consume reports with stunning visualizations, conduct on-reports business modeling, and execute decisions instantly from the reports itself—reducing dependency on IT and developers. ASPHostPortal.com provides you with the technology to drive business performance with advanced reports generation capabilities of the Crystal Reports 2010 Hosting. The interactive reports generated by the software maximizes the reporting power of your business. These reports are delivered via Web, email, Microsoft Office applications or Adobe PDF, or as embedded enterprise applications. The interactive dashboards and simplified charts present the data in crystal clear form. With all these features, hosting with Crystal Reports helps you minimize the IT expenditure. Our Windows Cloud Hosting fully supports Crystal Report 2010 hosting. You are more than welcome to try our Free Windows Cloud Hosting before you decide to buy. You can get your Free Cloud Windows hosting account up and running within the next few minutes.